The Quick Report Viewer solution quickly converts any of your reports to filterable and exportable views. A Quick search box is provided for Application Names and Report Names the user has access to, and displays the table view with a global filter, along with individual column filters for quick search of the report content. Invokes Archer native server export engine to generate all types of formats without creating or saving a report, perfect for quick report content lookup and export. The Skin could also match the native Archer theme if preferred. Super generic: You can choose any application via dropdown and all the reports within. Responsive and searchable dropdown UI for quick application/report name lookup. Report content theme is consistent with the rest of Archer web pages, built-in global filters and also individual column filters via a toggle. 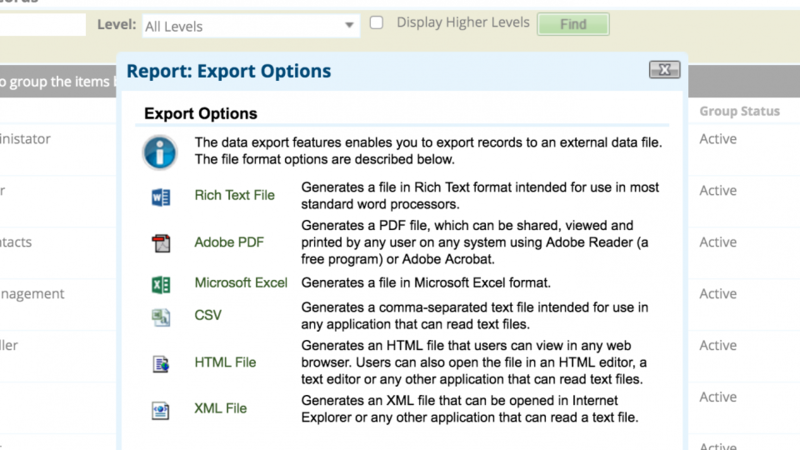 The filtered report content is export-able via Export button, no need to create and save a report before exporting. The iView could also be locked to specific Application and Report so that no initial user selection is required, helpful for different departments displaying only their own relevant reports.